We all want the reservation booking process to be as easy as possible for guests to select their desired accommodations, agree to rental terms and to provide payment in a safe and secure manner. Electronic signatures have expedited the rental agreement process by no longer requiring guests to print, sign and then fax or mail the agreement back to you. Electronic signatures are becoming more prevalent and although legally binding, the credit card associations (Visa, MasterCard, Discover) do not yet recognize third party e-signatures as “valid” signatures. This can become an issue when responding to cardholder disputes through the card system, also known as chargebacks. The best way to fight a disputed claim is to show the card issuer a copy of the cardholder’s signature to prove cardholder authorization and agreement to terms and fees. For the signature to be most helpful, it must match the signature the issuing bank has on file. There are some systems like DocuSign, a Barefoot partner, that provide a way for cardholders to sign on a tablet using their finger or stylus, or on a computer using their cursor. If the signature matches what the card issuer has on file, it can indeed help in some cases of consumer disputes. However, with nothing in the Visa regulations specifically accepting or even validating any sort of electronic signatures - there is still no guarantee. 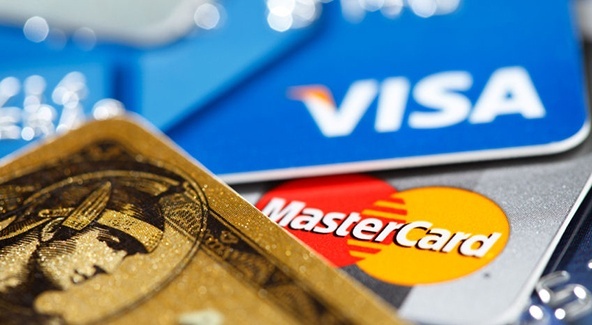 For “e-commerce” or online transactions, the card associations do have regulations in place allowing the cardholder to “click to agree” to the total and terms. This method is not as strong as providing a physical signature, but it is a card-brand-recognized option. “Click to agree” has some limitations when fighting any chargeback types in which the cardholder claims they did not authorize the charge. If you can prove that the cardholder had to “click to agree” to the total and policies (and your checkout pages comply with Visa requirements), it can be helpful in cases where the cardholder admits to authorizing the transaction itself but claims they did not agree to a particular term, like the cancellation policy. However, it is not helpful in proving the identity of the person who made the purchase and agreed to the terms online. So, it will not help in cases in which the cardholder claims they did not authorize the charge. The card associations do have specific regulations about how the online checkout process should be structured and Ascent Processing, a Barefoot payment solution partner, can guide you through those regulations. Electronic signatures can ease and expedite the booking process, but physical signatures win more in fighting chargebacks. We have an excellent experienced chargeback support team at Ascent. Not only do we help with chargeback questions, we assist you in preparing the bank response so that you are able to provide the best rebuttal possible. More importantly, we are proactive by reviewing your rental agreement and guest communications to ensure you are set up as tightly as possible in the first place to fight or prevent future chargebacks. You definitely want a partner like Ascent in your corner. Ascent Processing has proudly specialized in the vacation rental industry for more than 20 years. We are constantly tailoring products and services to meet the specific needs of professional Vacation Rental Managers. Our payment processing program is designed to lower costs by reducing unnecessary losses and processing fees. Choosing Ascent as your processing partner provides your team with security and support, while saving money and time. Contact us for a free competitive analysis at 888-721-9301, info@ascentprocessing.com or www.ascentprocessing.com.